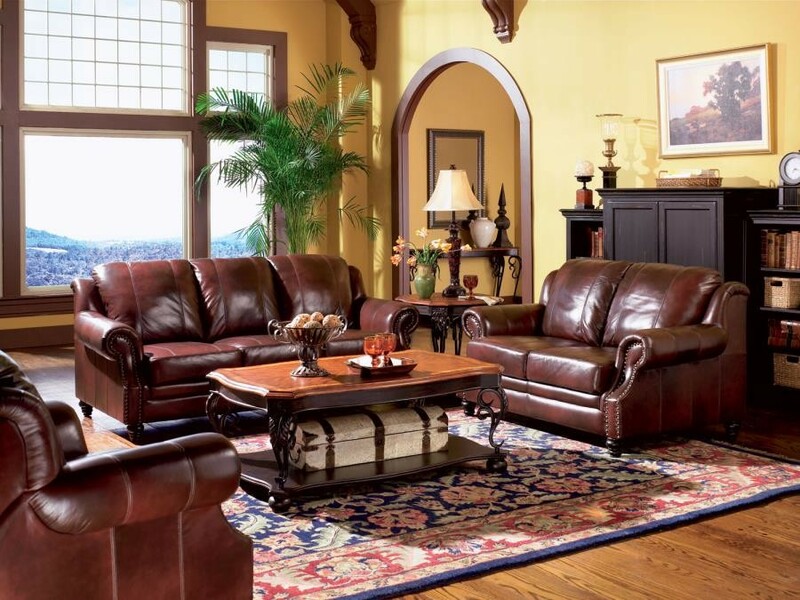 LUXURIOUS COLLECTION FEATURES SOLID WOOD LEGS, ROLLED ARMS AND DECORATIVE MOLDINGSAND INDIVIDUALLY PLACED NAILHEADS, FOR A DECORATIVE TOUCH. 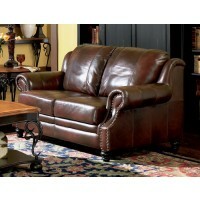 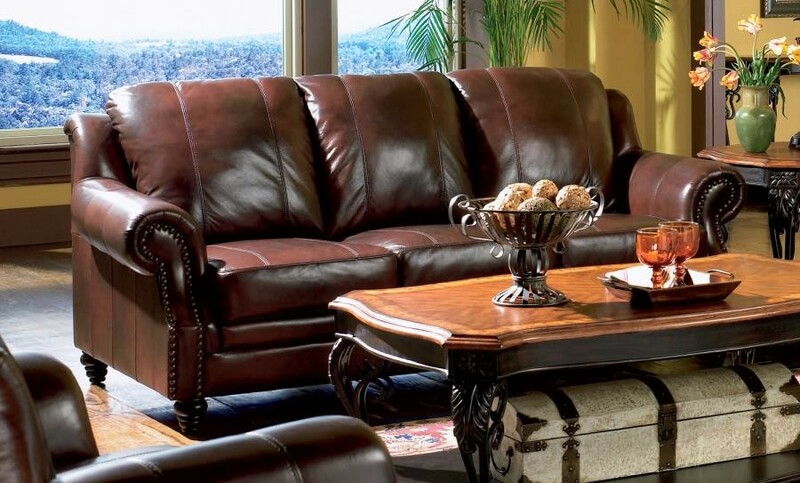 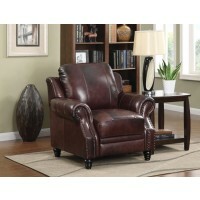 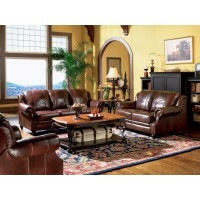 UPHOLSTERED IN 100% BURGUNDY LEATHER WITH LEG FINISH IN MERLOT. 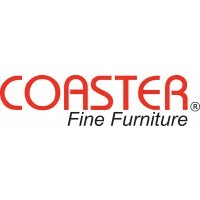 ADDITIONAL INFO 3: THE FRAME CONNECTS THE BACK AND SEAT USES PLYWOOD AND THE ONE WITH CURVE USES HARDWOOD. 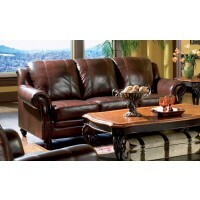 ADDITIONAL INFO: ITEM#500661 HAS POCKET COIL CUSHIONS AND A SINUCUS SPRING BASE.